NEW ORLEANS (WVUE) - The Pelicans No. 1 player is back in the game tonight. Anthony Davis created waves when he said he wanted to be traded. Now the team says he’ll finish out the season, and some fans believe he’ll be here a lot longer than that. “He’s healthy and he’s going to play and we’ll go from there,” said Coach Alvin Gentry. Gentry confirmed that Davis would be back on the court tonight, and it’s welcome news for fans. “When he’s lighting up the court, it just brings everybody to their feet,” said fan Darren Cavalier. With the trade deadline come and gone, the team announced Thursday (Feb. 7) that it would put Davis back in the game. 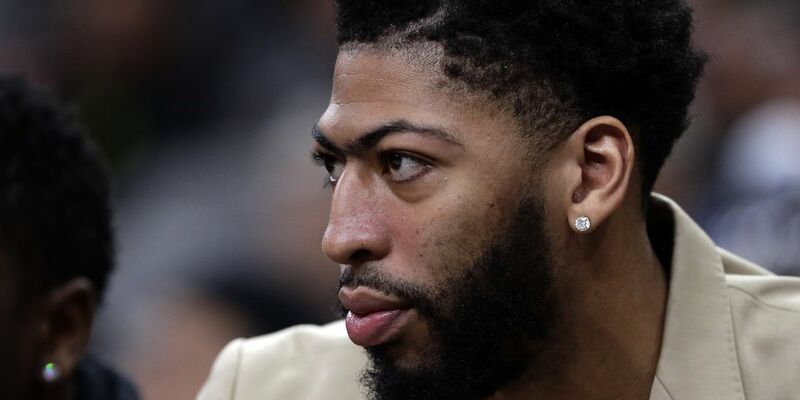 According to ESPN, the league threatened to fine the Pelicans if a healthy AD was kept off the court. While there’s still a lot of uncertainty about Davis’ future with the Pels, fans say they’re glad to hear Davis will finish out the season. Other fans aren’t convinced Davis has any intention of leaving. “It’s a power play, and that’s how I feel about it,” said Jame Haik. "It’s just business, so I think Anthony will end up staying here and he’s going to be a great asset to the Pelicans. Regardless of what happens next year, Coach Gentry says his teammates are glad to have AD back in the game. “The guy’s almost a 30-point scorer so, obviously, it gives us a situation where it gives us an opportunity, the best opportunity to try to win games, so I think in that situation, any competitor would like having him back,” Gentry said. Davis just recovered from a finger injury suffered in the Pels game against Portland two weeks ago. Gentry says he’ll treat Davis like any other player returning from an injury. He’ll start with seven minutes and go from there. But Davis surely won’t play his regular 38 minutes.